Blending Business Immigration Law strategies with Labor & Employment acumen can lead to a highly successful program to recruit and employ foreign-born talent. Join Kimberly N. Grant, Jennifer Taler, and Nancy L. Gunzenhauserof Epstein Becker & Green, P.C., one of the nation’s leading employment law firms, for an in-depth and practical discussion of how legal counsel, HR, and talent acquisition can navigate the pitfalls and opportunities of identifying, hiring and retaining foreign nationals. This program examines the types of questions a recruiter may legally ask of potential applicants, identify who is within a “protected class” in this area, and provide a checklist of potential red flags to examine before extending an offer to a candidate who requires visa sponsorship. 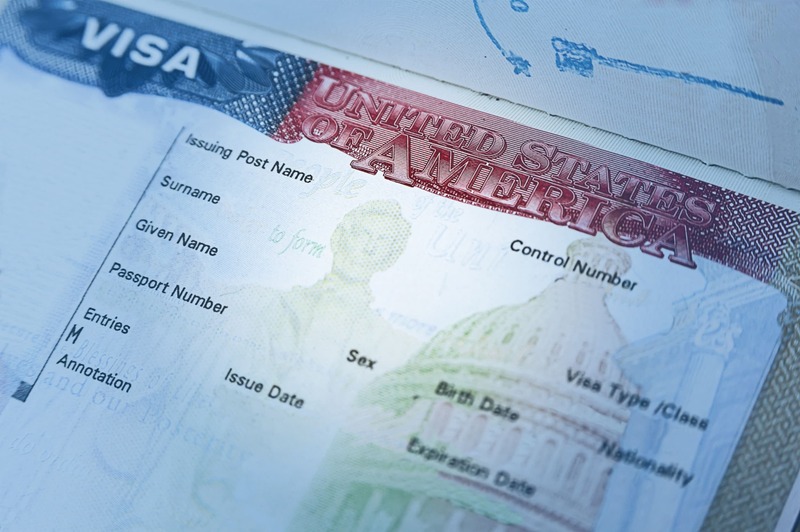 This program also discusses how to select an appropriate visa classification, and in the lead-up to the annual H-1B cap filing that begins each April 1st, examines alternatives to the H-1B nonimmigrant visa classification - including the legal parameters and acceptable activities within each class from the free trade visas, such as the TN, E-3 and H-1B1 (Chile/Singapore) to the E-1/E-2 investor visas, and to the more recent alternatives, such as the H-4 EAD, as well as more innovative approaches. In the midst of the excitement of landing that great candidate, the program also examines compliance strategies to ensure a successful onboarding, including I-9 compliance tips and E-Verify, and tips for executing a lawful separation. Kimberly N. Grant is Senior Counsel in the Labor and Employment practice, in the New York office of Epstein Becker Green. She has served clients in the consumer products, specialty packaging, hospitality, pharmaceutical and biopharmaceutical, medical device, specialty chemicals, content marketing, aviation, and confectionery industries, among others. Prior to joining Epstein Becker Green, Ms. Grant was an attorney at a corporate immigration law firm, where she focused on providing advice to human resources personnel, in-house counsel, and foreign national employees in the area of U.S. immigration law. Previously, she clerked in the Immigration Unit of the U.S. Court of Appeals for the Second Circuit, where she researched and drafted bench memoranda on immigration law issues. Ms. Grant regularly lectures on U.S. immigration laws and compliance topics and provides pro bono services, which have included counseling natives of Haiti on applying for Temporary Protected Status (TPS) and work authorization following the earthquake in Haiti in 2010. In 2014, Ms. Grant was named to the New Jersey Rising Stars list in the area of Immigration. While at law school, Ms. Grant received the Dr. Samuel Belkin Award for exceptional contribution to the growth and development of Cardozo Law School. She also was the James Boskey Alternative Dispute Resolution (ADR) Writing Competition Winner, which was presented by the American Bar Association’s Section of Dispute Resolution. Jennifer Taler is an Associate at Berry Appleman and Leiden. She represents large multinational clients and their employees across a wide range of immigration matters. Prior to joining Epstein Becker Green, Ms. Taler was an associate in the Immigration Practice Group of a commercial law firm in New York City. While attending law school, Ms. Taler was an Associate Editor of the Fordham Intellectual Property, Media & Entertainment Law Journal and a two-time national competitor for Fordham’s Moot Court team. She also served as a legal intern in the Civil Division of the U.S. Attorney’s Office for the Eastern District of New York in Brooklyn, New York; a judicial extern for Judge Mary Catherine Cuff of the Superior Court of New Jersey, Appellate Division, in West Long Branch, New Jersey; and a Summer Law Intern in the Law Department of the Port Authority of New York and New Jersey. Prior to joining Epstein Becker Green, Ms. Gunzenhauser worked as an intern in the Law Department of the Kings County Supreme Court; the Employment Law Department of one the world's largest professional services, risk management, and insurance brokerage firms; and the Social Security Administration, among other positions. While at law school, Ms. Gunzenhauser received the CALI "Excellence for the Future Award" in Privacy in the Workplace. I thought all 3 presenters were excellent. I liked this format of multiple presenters on a single topic. Interesting topic and knowledgeable and personable speakers. Great presentation - very informative and succinct. Nice job, I liked the three presenters. Very knowledgeable, and having more than one voice kept it from being monotonous. Nice job. Very well.done. presentation engaging and easy to follow. Needed more time, maybe 1.5 units. Lots of good information on a big issue. Very good content, also liked the format. Great speakers; know their subject & presented everything well. These ladies worked really well with each other. Thanks! This was an outstanding presentation. It was well-organized; and the presenters were clearly prepared. I thought all speakers were effective and concise in covering a large body of information. This could have actually been allotted more time to do the speakers and materials justice. Good introduction to many areas of employment law and immigration. Excellent presentation with clearly knowledgeable speakers. All three presenters were fantastic. Great information and really well done. Excellent speakers; good content. Thanks!